I certainly know how to make my mom cry! 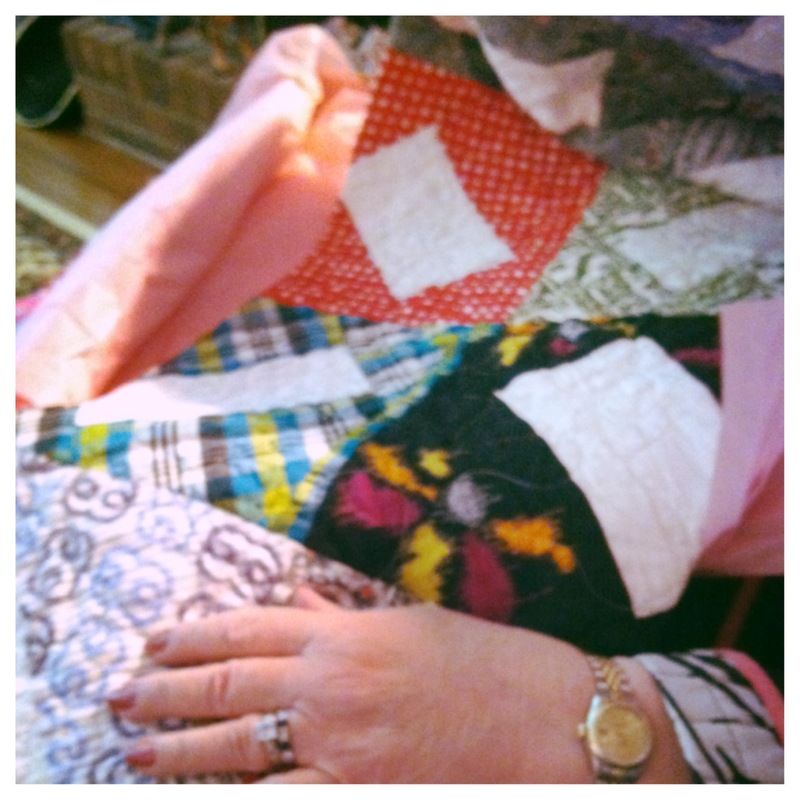 This Mother’s Day I gave my mom the quilt I had Megan from A Crafty Handful finish from some of my grandmother’s quilt squares. 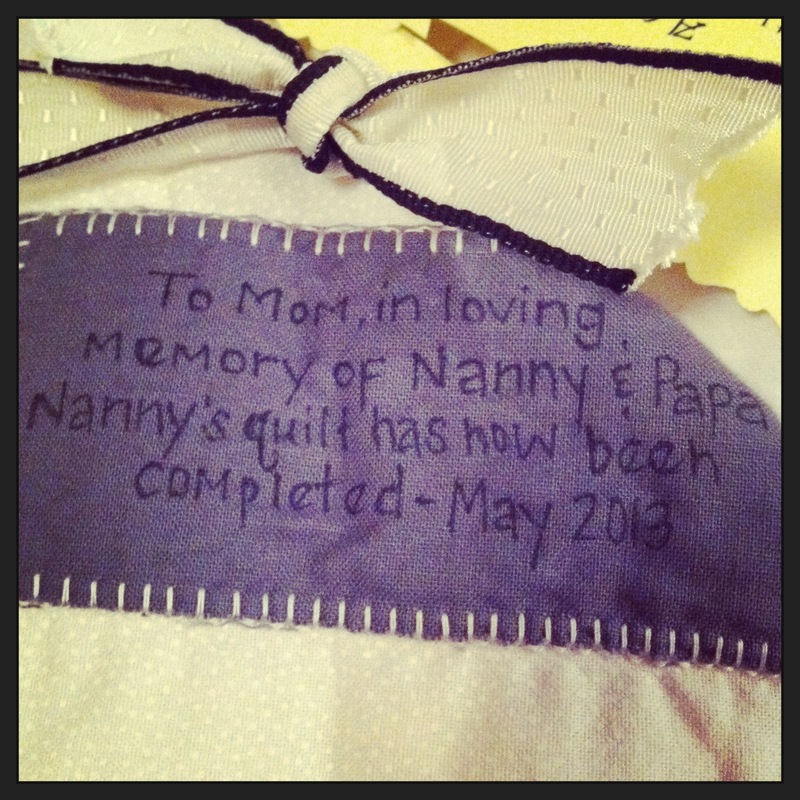 Even when I met Megan at Starbucks to pick up the finished quilt I got chills and I’d be lying if I said I didn’t tear up a bit. 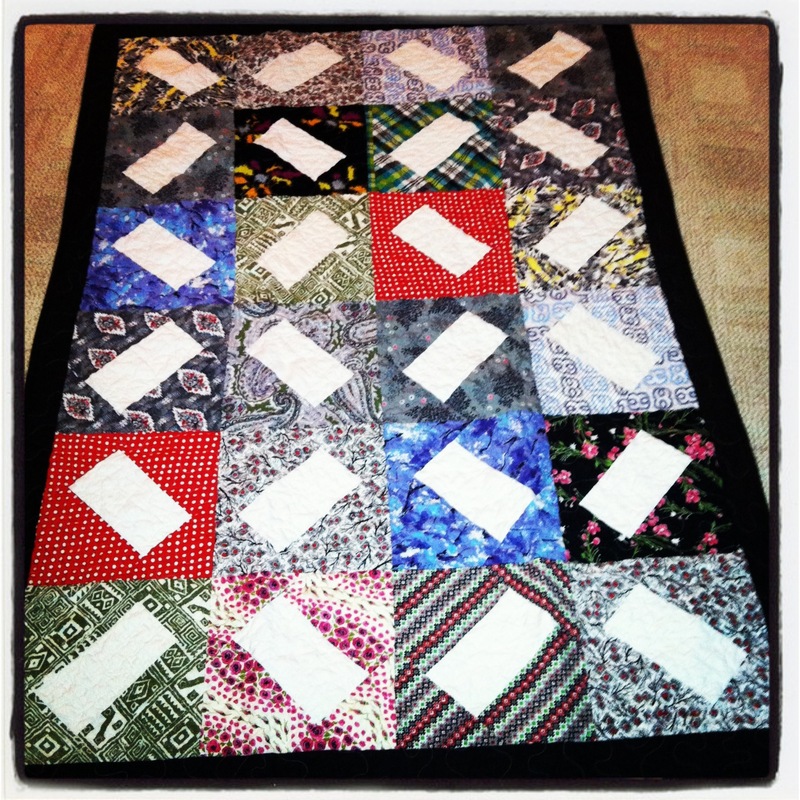 She did an AMAZING job on the quilt and surpassed my expectations. 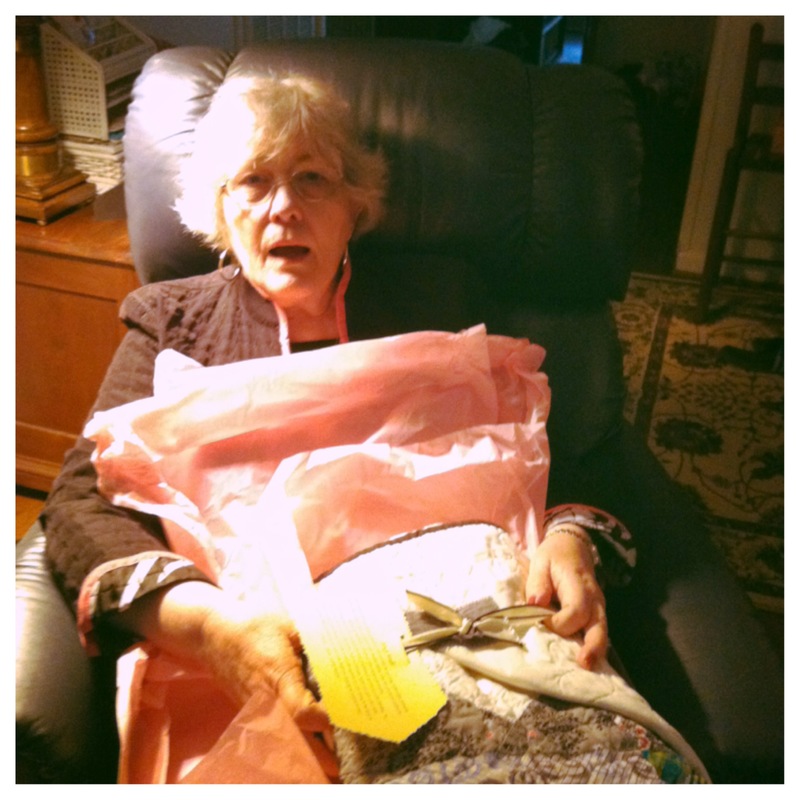 I’m almost hesitant to show the video of her opening her Mother’s Day gift because I honestly hate the way I sound on camera. Yes, I know I have a crazy southern accent and I still haven’t embraced it at the age of 31. I’ll confess I was hoping my voice wouldn’t be heard in the video, but it was. I apologize. Since it was such a special/ thoughtful gift I’ve decided to show y’all the video (the condensed version). 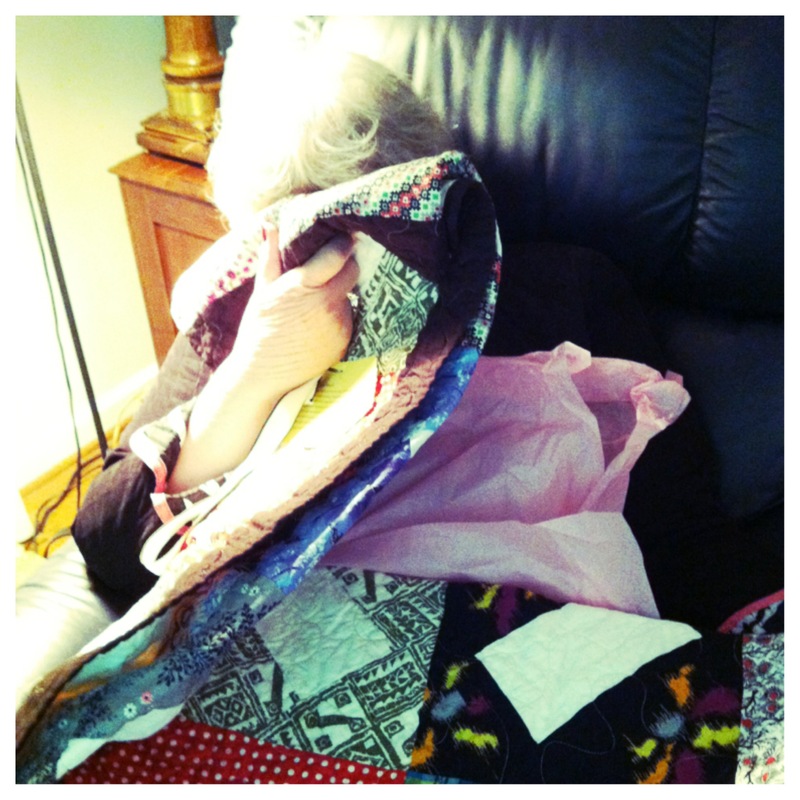 I managed to capture her reaction when I told her the quilt was made from Nanny’s squares. 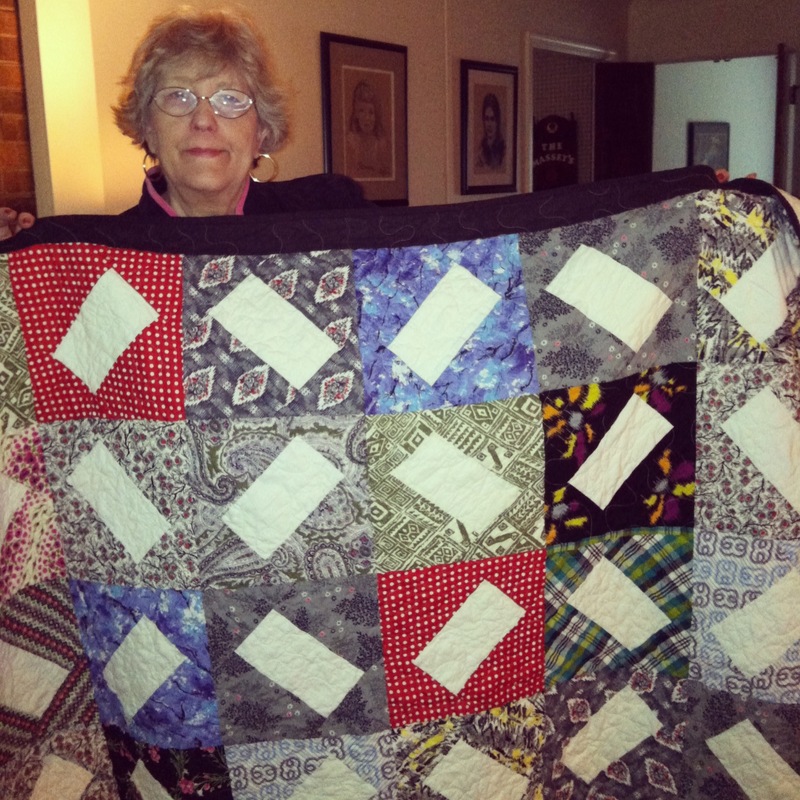 Mom (no more tears & all smiles) with her beautiful quilt! 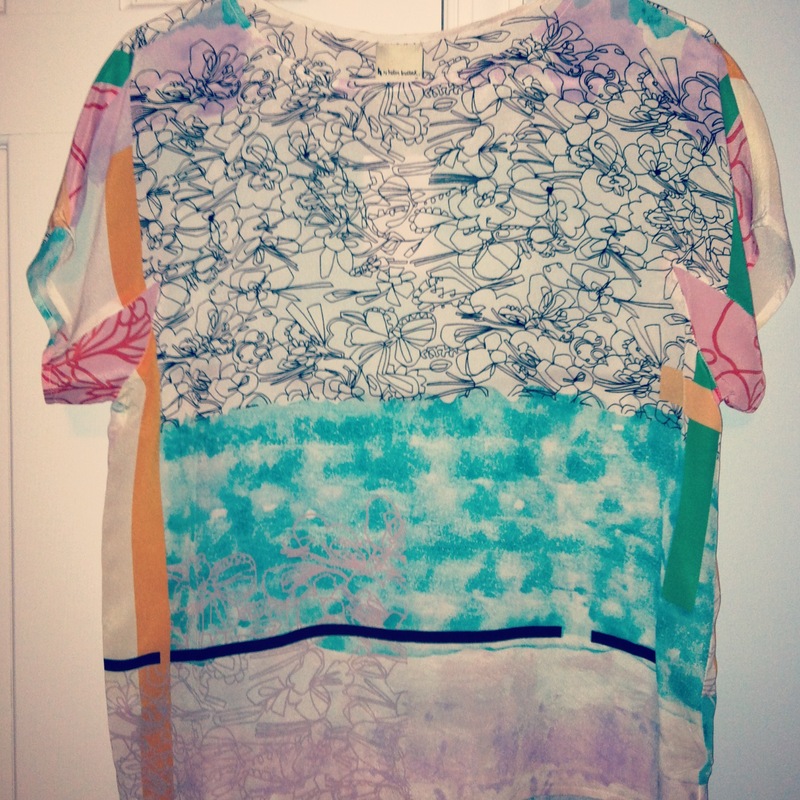 Watch out Anthropologie… y’all have some competition! Of Moon + Lola. While I know I could live in the Anthropologie store and I’m pretty sure my second home would be Moon + Lola. 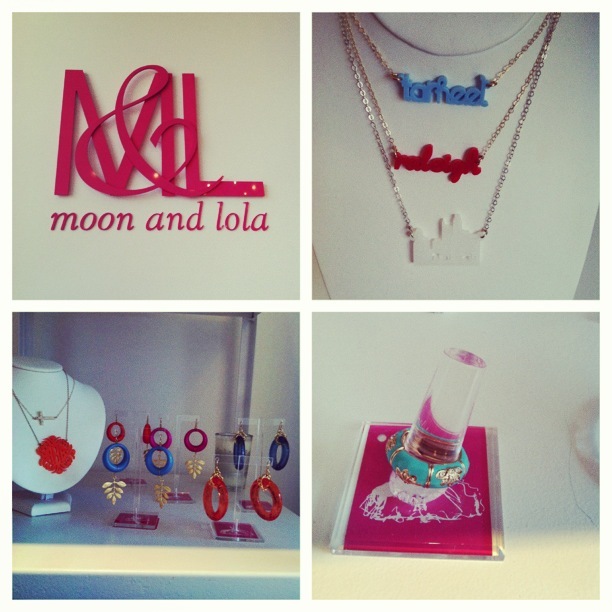 I took my mom to Moon + Lola yesterday so she could get a longer chain for a necklace I had given her for Christmas. I even told myself I wouldn’t buy anything. Yeah, that didn’t happen. As soon as I stepped in the store I knew I wouldn’t leave empty handed. The first item that caught my eye was a contemporary squirrel. 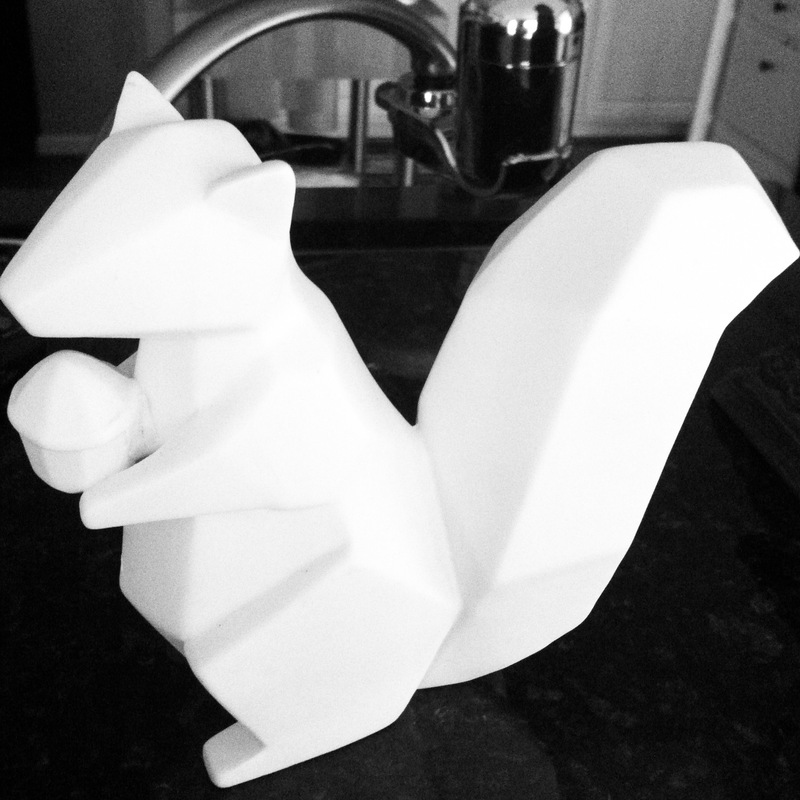 How fabulous is this modern, ceramic squirrel from Moon + Lola?! Of course I took it home! On my wish list from Moon + Lola was an acrylic North Carolina necklace and I figured, why put off the inevitable? I ordered a hot pink North Carolina necklace with the heart cut out over Raleigh. 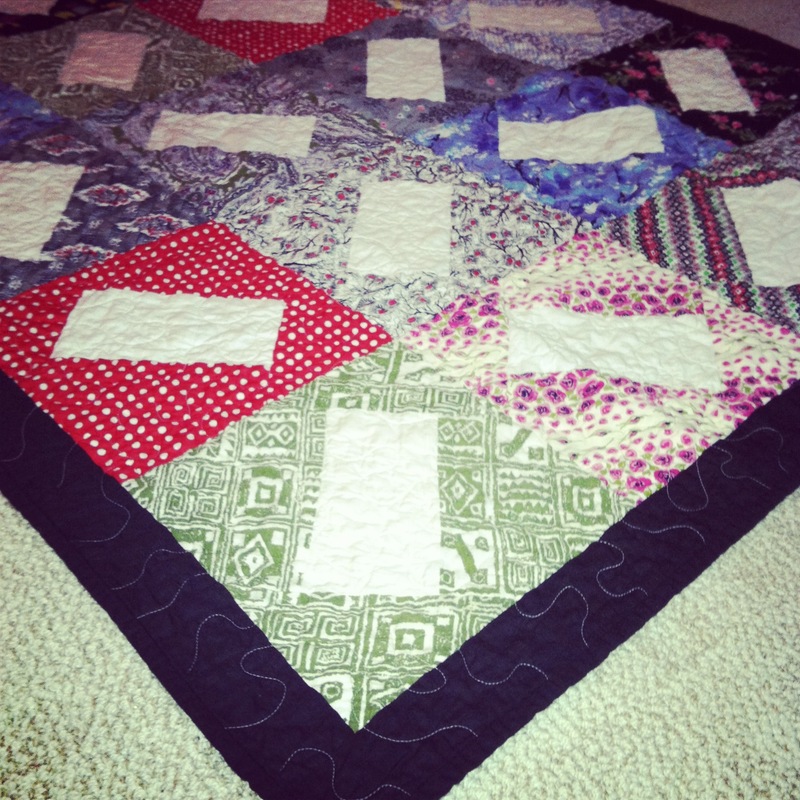 Not a North Carolinian? No worries, they can make a necklace with any state (with a variety of colors to choose from) and cut the heart out of where your city is. While in the store I managed to make a mental note of a few more items to add to my wish list! One of which is the Preston bracelet and in the picture below, a gorgeous stretch ring. Necklaces, earrings and rings… oh my! I wouldn’t be surprised if I go back to Moon + Lola for First Friday to pick up the ring I have my eyes on.